Posts I have written about local and regional history, people, places, documents, maps, Sacramento, Placer, and California. Develop a mobile application that tourists, visitors, and local residents can download onto their mobile device that would show a variety of historical sites, structures, landmarks, and museums within prescribed radius around their current location or region they may be visiting in the future. Some people have compared the historical sites mobile app to the dating apps, where the history lover is searching for an afternoon date at a historic site or museum. Isaac Hinkle was 25 years old and working on his father’s farm in Indiana in 1880. His older brother Amos had left the farm for California and Isaac decided to follow him in 1881. By 1882 Isaac was a registered voter in Sacramento County’s Mississippi Township. In 1885 Isaac married Jessie Brown and would have a long marriage with Jessie for the next 48 years. Also in 1885 Isaac Hinkle would make his first land purchase. He bought land in the town of Ashland from John Cardwell who was a large owner of in the area for $850. Even though the land was within the Public Land Survey System of Townships and Ranges, the deed refers to original metes and bounds description before the 1865 official survey map. It started as a small idea to honor regional Sacramento residents for their contributions to preserve our history, historical buildings and infrastructure. It quickly ballooned into a gala event that was very challenging for the small Sacramento Historical Society organization. Fortunately, we all kept the goal of acknowledging the substantial accomplishments of so many deserving people first and foremost as we organized the event. 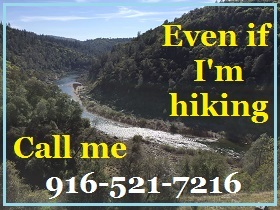 It has been pointed out that several features or bends of the American River are not illustrated. I don’t believe it was the intent of the map maker to accurately depict river but to note its relative position to the mines. The distances of 25 miles to the lower mines and of 50 miles to the upper mines is pretty accurate. The lower mines were also known as Mormon Island for the first group of miners who did extensive mining after the initial discovery of gold by Marshall. The distance to the upper mines, site of Marshall’s gold discovery is also relatively accurate considering hilly terrain that had to be traversed to get to the location. Bugbey commissioned Yanke to compose a galop and a waltz. The galop premiered on July 4, 1870. Bugbey was heavily involved in politics and the Republican Party at the time. So his galop was part patriotic pomp and part marketing for his sparkling wines that he was shipping to the East Coast market and Europe. Similar to the Railroad Kings Galop, Bugbey’s Champagne Galop displayed his image on the cover of the sheet music. His portrait is surrounded by grapevines and bordered on one side by an overflowing champagne flute and an exploding cork and champagne bottle on the other side. As her 78 year old father ate the breakfast she had prepared for him, she picked up the family shotgun, pointed it at the back of his head, and pulled the trigger. She then poured kerosene in the living room, kitchen, and on some of her clothes tossed on the floor, and set the house ablaze. She later recalled she had every intention of dying in the fire along with her father. Death was the only way out of the dilemma she had created as she saw it. Within the 90 foot elevation change of the lake, it was proposed that all standing and down timber, brush over 6 feet high or with trunks greater than 2 inches in diameter would be cleared out. Trees whose height reached to 360 feet in elevation would be topped to 10 feet below the expected low water elevation. By the time of the Army Corp report conducted its inventory most of the North Fork Ditch had been lined with concrete. Many of the appurtenances were also concrete such as wasteways, intake structures and sluice gates. Of the 37 flumes, 32 were constructed of timber and only 5 were metal. The timber flume construction allowed them to be built with small changes or bends in the direction to navigate around boulders and hillsides. The metal flumes, by contrast, were best adapted to spanning a small ravine in a straight line. While SVRR was planning the extension, Charles Lincoln Wilson incorporated a new company called the California Central Railroad in 1857 with Theodore Judah as Chief Engineer and Wilson as the appointed contractor. I have found no actual map filed, thus far, with the state by the California Central Railroad, but it’s probably floating around someplace. However, in 1864, the Central Pacific Railroad filed a map of their lower division from Sacramento to Auburn. On it the CCRR is depicted in the relative alignment indicated by the SVRR extension map.